For over twenty-five years, the Mid-America String Quartet has been providing quality music throughout the state of Oklahoma for weddings, receptions, parties, corporate events, memorial services, and many other special occasions. It’s a fully professional ensemble, comprised of two violins, one viola, and one cello, featuring some of the finest and most reliable musicians in the Oklahoma City area. You’ll find us friendly, helpful, and easy to work with. The Mid-America String Quartet maintains a busy schedule of over 100 performances each year. Included in these performances are numerous weddings, receptions and parties, as well as the Quartet’s participation in the nationally recognized “We’ve Got Rhythm” program, sponsored by the Oklahoma City Orchestra League. In these engagements, the Quartet performs interactive concerts in elementary schools throughout the Oklahoma City area, promoting classical music. The Quartet is often featured at local libraries in conjunction with the Oklahoma City Philharmonic’s “Let’s Talk about Music” concert series, and it has represented the Philharmonic in concerts at the State Fair of Oklahoma. 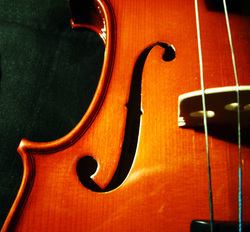 While the Quartet specializes in the light and familiar classical music of composers such as Bach, Vivaldi, Handel, Mozart, Haydn, Beethoven and the like, it also performs many other styles, including rock, pop, ragtime, tangos, Broadway and love songs, as well as religious and holiday pieces. We’re happy to offer suggestions for your wedding music. We'll give you as much or as little direction as you desire, including free phone or email consultations. Our knowledge and years of experience give us the expertise and flexibility to work closely with our clients to provide just the right music for their special occasion. In addition to providing beautiful music, you can be confident that we will handle your special occasion with the highest degree of professionalism to insure that all runs smoothly and according to plan. Our goal is to meet the unique musical needs of each client with unparalleled attention to detail, while providing music of the highest caliber. The end result is to help create positive memories of your occasion for years to come. Let us add a relaxed atmosphere of elegance to your wedding or special event.